Luke 1:37, "For with God nothing shall be impossible." God's greatness is unsearchable! Psalm 145:3, “Great is the LORD, and greatly to be praised; and His greatness is unsearchable.” When I pause to consider the magnificence of creation and the complexity of the universe, I am amazed and left in awe. God is truly incredible and amazing!!! 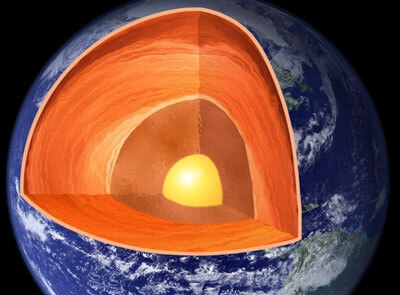 The picture to the right is an accurate display of the earth's crust thickness and molten interior. Did you know that the Old Testament in the King James Bible mentioned the word “earth” 654 times? And the King James Bible's New Testament mentions the word “earth” 188 times? That's a total of 842 times that the word is mentioned in the Bible. Wow! The earth is important to God. 1st Corinthians 10:26 says that the earth is the Lord's and all the fullness thereof. Amen! It is God's creation! We ought to respect and be good stewards of God's creation. We should care for the earth instead of bombing it with radioactive nukes, polluting the oceans with plastics, and cutting down most of our rare and precious rain forests. Men pollute the earth. 5,000,000 barrels of oil spilt into the Gulf of Mexico has done major ecological damage. I read recently that fisherman have been catching millions of shrimp with no eyes, spots and mutations from the oil contaminating in the Gulf. It is sad. The odds of life happening by natural selection or chance is not only astronomically a non probability; but it is plain IMPOSSIBLE! How did the earth end up at just the precise distance from the sun to sustain life on earth? How does the earth maintain a heated mantle (7,000 to 12,000 degrees Fahrenheit) by gravitational accretion (20%) and the decay of radioactive isotopes (80%)? Do you really believe it just happened? The earth each and every day, for ages has been a boiling ball of lava; yet the earth doesn't melt away nor do the continents remain afloat. How did the earth develop a magnetic field and an ozone layer to protect life on earth from the sun's bursts of energy? It's a perfect system that all works together. It would be impossible for all this to just HAPPEN as atheists, humanists and evolutionists would have us to believe. IMPOSSIBLE! 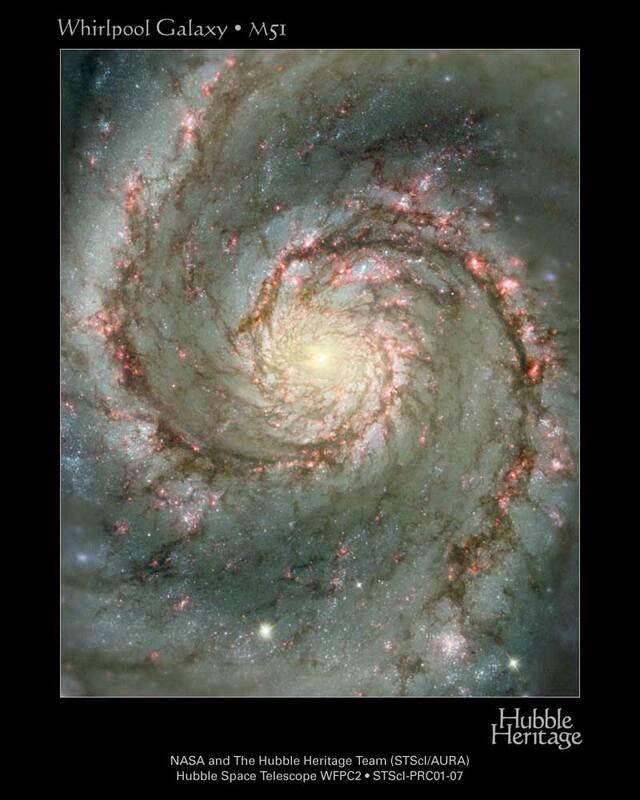 A person would have to willingly believe that a universe of order and complexity somehow evolved from a BIG BANG. 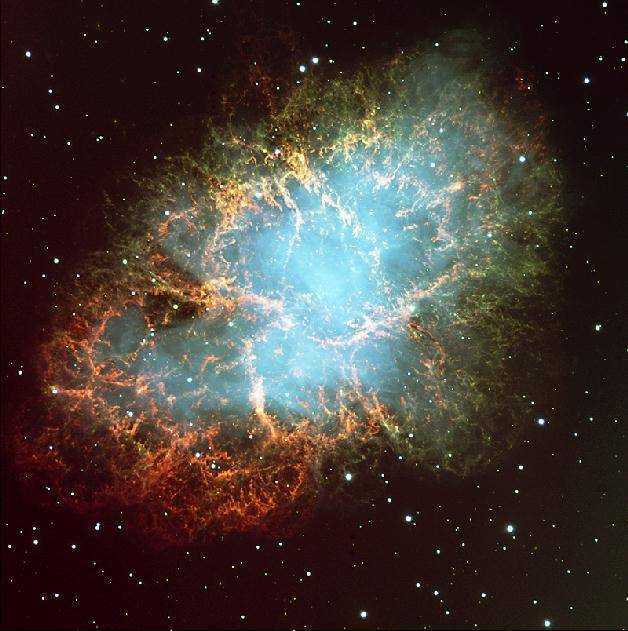 Even if there was some kind of massive explosion at some point several billions of years ago, scientists cannot even begin to provide logical answers to explain what caused that BIG BANG. You cannot have an explosion without matter and energy. Where did that matter and energy come from? Nothing? That would be scientifically IMPOSSIBLE. There are many atheists and God-haters in the world today, who attack the content of the Bible, attempting to portray God as a fiend. However, those same skeptics and unbelievers leave off the magnificence of this universe and the impossibility of it all just HAPPENING. They are ingrates. Romans 1:21, “Because that, when they knew God, they glorified Him not as God, neither were thankful; but became vain in their imaginations, and their foolish heart was darkened.” The fact that the Bible is brutally honest is further proof that men didn't author the Bible, for if they did to deceive others, they wouldn't have wrote it in such a manner. The Bible is truly God's inspired Word. If you think about it with a sincere heart and open mind, it is IMPOSSIBLE that there was once a time when there was no time. Where did time begin? Could there have been a time when there was no time? An atheist can go insane trying to figure out the beginning of time or the size of the universe. How big is the universe? Can it have an end? If so, what is beyond that end? Nothing? That would be IMPOSSIBLE! I was thinking recently about the source of life on earth and the universe. How could such an awesome universe have just HAPPENED? As Christian believers, we believe that the Bible is God's Word, which teaches that Jesus Christ spoke the universe into existence by the Word of His mouth. 2nd Peter 3:5, “For this they willingly are ignorant of, that BY THE WORD OF GOD the heavens were of old, and the earth standing out of the water and in the water.” Amen. Revelation 19:13, “And He was clothed with a vesture dipped in blood: and His name is called The Word of God.” The Godhead was manifest to mankind in the fleshly Person of Jesus Christ. 1st Timothy 3:16, “And without controversy great is the mystery of godliness: GOD WAS MANIFEST IN THE FLESH, justified in the Spirit, seen of angels, preached unto the Gentiles, believed on in the world, received up into glory.” Colossians 2:9, “For in Him dwelleth all the fulness of the Godhead bodily.” Jesus Christ is the living Word of God, by Whom the universe was spoken into existence. That makes more sense than all the insane theories that evolutionists have concocted over the past couple centuries.